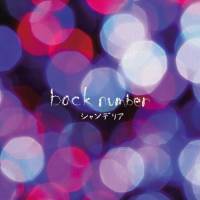 Back number had a great 2015. All four of the group’s singles made it into the Top 10 on the Oricon chart, and they did even better digitally. The rock band capped off the year with its first No. 1 album, “Chandelier,” which sold 173,014 copies. The first-week sales of “Chandelier,” the band’s fifth album, more than doubled the total sales of its previous album, “Love Story,” which came out in 2014. And “Chandelier” is on target to crack 300,000 units sold. Back number’s success has no doubt been helped by the use of its songs in commercials and TV shows. The 2015 singles — “Heroine,” “Sister,” “Tegami” and “Christmas Song” — are sentimental tunes that fit nicely into prime time. The band saved its better stuff for “Chandelier.” The album’s highlight is second track “Siren.” If this were a single, the band would have been getting comparisons to other buzzed-about rock acts such as [Alexandros] and Kana-Boon. “Siren” has a pulsating drive to it, and a melody that ties it to back number’s previous work. “Mirrorball to Cinderella” has a dance-rock sound that will be unexpected to listeners who’ve bought the album on the basis of the TV-related work, and back-end track “Liar” recalls the energy of “Siren,” though it lacks the stand-out melodic flair of that song. After listening to “Chandelier,” though, it sounds as if label bosses could be pushing the group’s members to abandon what they’ve been doing in favor of more commercial fodder. It’s probably a smart move money-wise, but it could also pigeonhole back number into being a “drama theme song” band, separating it from a rising tide of rock acts that the group should have more of a connection to.